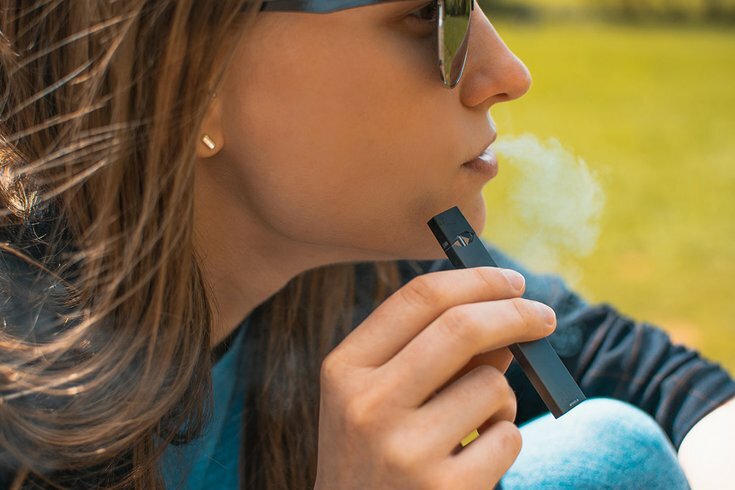 A start-up company that set out to mass produce e-cigarettes has reached the worth $15 Billion in an astounding amount of time and more than that, it controls 73% of all e-cigarette market shares in terms of sales and distribution. It is however the latest target of the FDA and other agencies for it’s massive popularity, especially among teens. It is said to be a lot safer than a combustible traditional cigarettes for it contains no Tar or tobacco which are the main cause of cancer but the parents and teachers are having a difficult time keeping teens from using it. The company came on to the scene in 2015 with a new concept, ‘Pod System’. 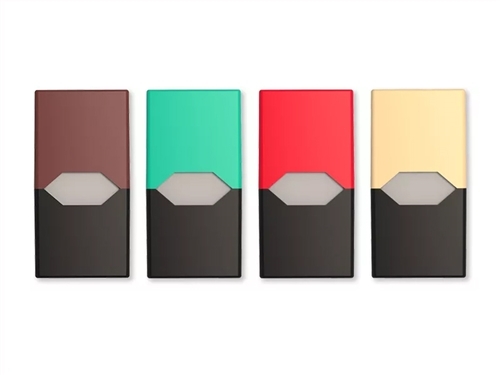 As shown above, each pod comes pre-filled with a flavored e-liquid that contains variable amount of Nicotine. You simply install the pod on the vape pen and start vaping. Social has gone up in arms as the popularity of this product has taken off. Parents have mobbed city halls, protests outside vape shops and even Senators have gotten involved. FDA has brought forth a new rule concerning the sales of ‘kid appealing’ e-juice flavors such as deserts, candy or what have you but no restriction are proposed towards Menthol, Tobacco and Mint, which are helpful towards adults quit smoking. 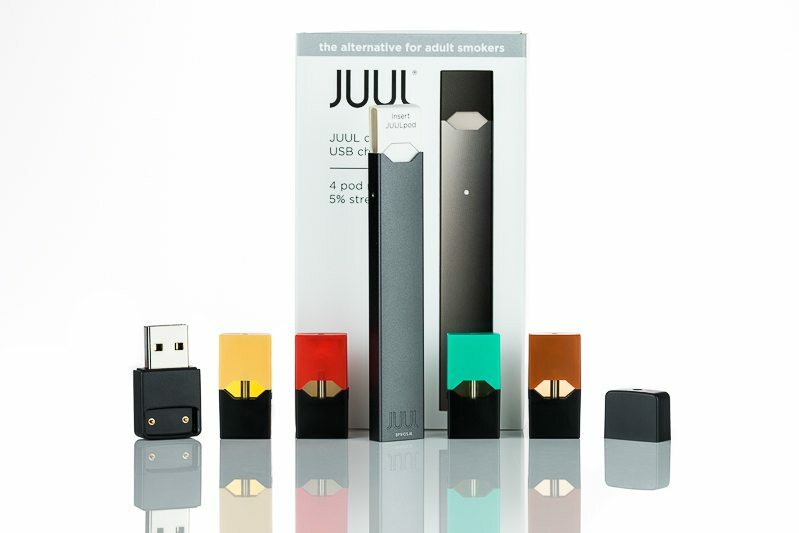 JUUL has already restricted the flavors in brick and mortar stores when it comes their ‘non adult appealing flavors’ but are willing to lift the restriction if the store is willing to enforce the age restriction rule and limit to the amount pods sold per person. The company has been fighting this onslaught from these organization to defend itself. 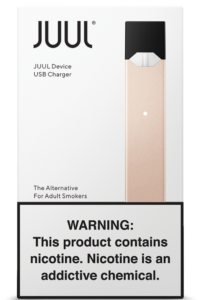 Their packaging comes with health and other warnings but somehow teenagers are finding a way to purchase them, mainly online through websites or even using their family members. The reason for its massive success is due to it’s state of the art Temperature Control System that seems to work flawlessly, it’s range of flavors and price. But most of all I believe the small concealable form factor is the major reason why this device is so popular. It is available everywhere and spread out like air. If you are reading this article then the chances are the either you or someone you know use this device and if not, then surely you have heard about it or seen it around you. E-Cigarettes are regarded as the best means to quit smoking cigarettes and it has been proven worldwide but there are still concerns when it comes to kids using these things. But there is only so much we can do for teenagers find a way to do whatever they want, whether it be alcohol, smoking or even faking an ID to enter a club. It is therefore our responsibility as adults to monitor them and help them make healthier choices in life. Looking at the massive successive JUUL and it’s technology, several other companies are also introducing their own Pod based Vape devices and the market is now densely saturated with these devices and maybe, this is the future of vaping.